Flex may be the biggest company you’ve never heard of. But you will know many of Flex’s clients – Nike, Google, NASA and Bose – just to name a few. A Fortune 500 company, Flex designs and builds Intelligent Products for a Connected World. With over 200,000 professionals working in 100 locations across 30 countries and 13 industries, Flex (also known as Flextronics) is at the forefront of technology, innovation, engineering and manufacturing. Flex has delivered over 8 million solar panel modules to customers around the world – with extensive experience designing and manufacturing products for top tier solar, inverter and energy technology companies, including brands such as Enphase and Canadian Solar and its own NEXtracker (the world leading utility scale mounting system used for the ACT’s iconic Mount Majura Solar Farm). The company’s unique capabilities help drive innovations in renewable energy and energy storage and management technologies – from smart meters that transmit usage data, to smart grids that respond to shifts in energy loads and increase overall efficiency. PowerPlay monitors all your energy resources, from your solar panels to your battery. Most solar systems just generate power but they don’t tell you how much you are using, or where it’s being generated. PowerPlay changes all that. Because the most knowledgeable source of power information in your home is your home itself. PowerPlay gives you real-time energy monitoring and the ability to control appliances from your phone to make the most of those times when your solar panels are producing excess power. PowerPlay not only records your energy use so you can compare energy use today to yesterday, last week or last year. It sends you messages when it notices something unusual in your energy use and lets you know when you’re saving money. Unlike regular solar systems, PowerPlay integrates with smart technology, turning your house into a modern, connected solar home. On sunny days, when your system is generating more energy than you can use, PowerPlay can automatically adjust your air-conditioning for maximum comfort and savings. And that’s just the beginning. It’s all designed to give you the greatest control over your energy and its costs. The Flex suite of solar system hardware is the most comprehensive suite of solar products from one brand. 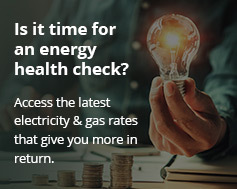 Click below for Flex products available through Energy Matters.